Welcome to another week in your life! This Monday is so not that Monday-y sort of day. Sure, it’s rainy and drizzly outside… but it’s a great day to start new routines! This morning, I hopped out of bed, workout out, went shopping for healthy food for the next couple days, and went to work. I know… I had a super weekend, so it was so easy to get a move on this morning! So, speaking of starting new routines.. I am doing that right here on my blog too! Every Monday morning, I will post a new card sketch. I would love to see what you do with it. Simply, jump on over to my Facebook page and post it in the comments of the sketch. I will post mine there too! This sketch was inspired by the new papers in the 2017 Holiday Catalog! What, you haven’t seen the new papers? 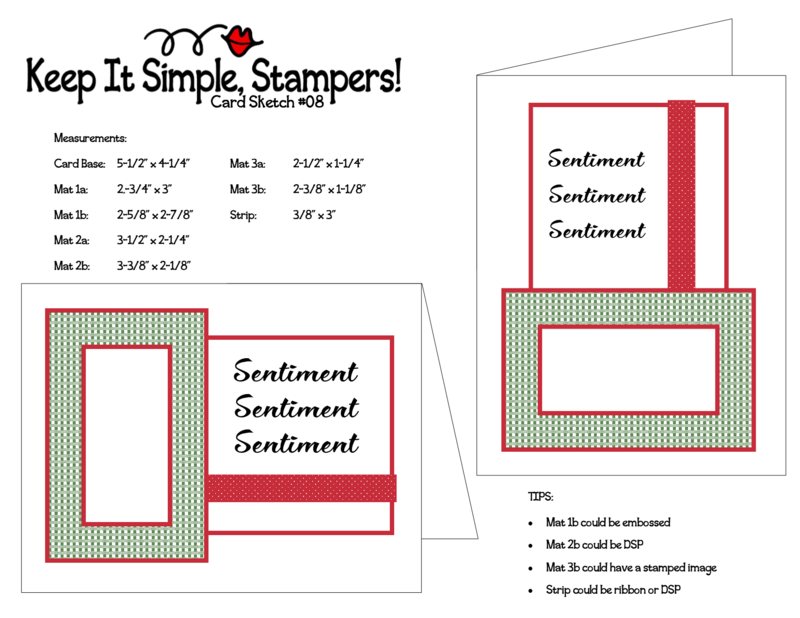 It’s a perk of being a Stampin’ Up demonstrator. You get to preview and preorder products from new catalogs. For me, I love getting my hands on the product first. I feel like it’s Christmas when the boxes arrive! And, who isn’t ready for fall and Christmas yet? I’m so done with summer! So, remember – head on over to my Facebook page and upload your creation using this sketch to the comments under the sketch!